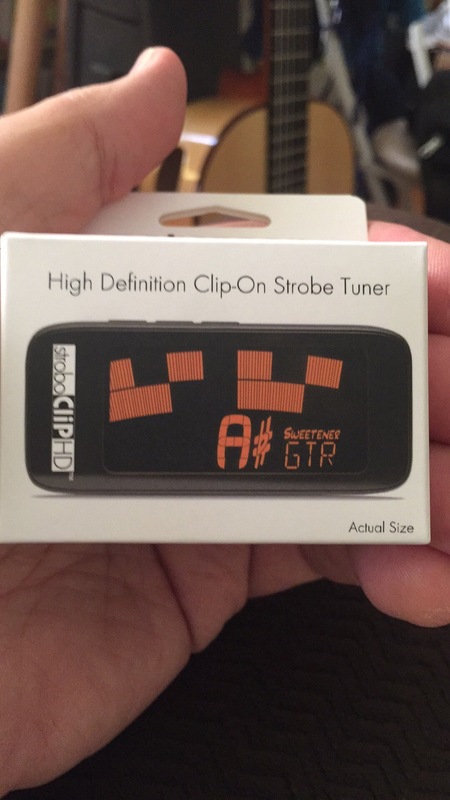 I needed a small discrete tuner for solo gigs and outdoor events when not using power. This little DÁddario Tuner is what I decided to use. Nice small footprint and I don’t think it will marr up the finish like the TC Electronics Tuner did. I have been using theses now for a few years with no problem. 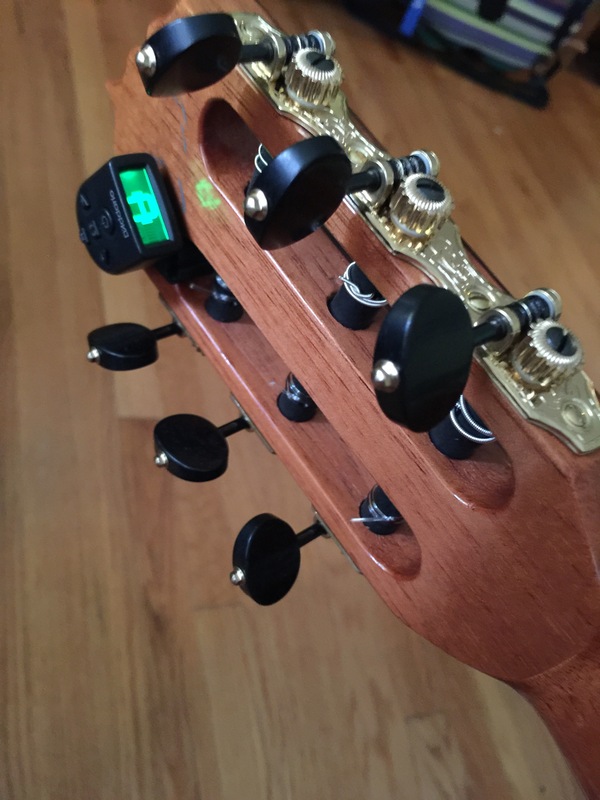 I had tried the Peterson HD Strobe Headstock Tuner. 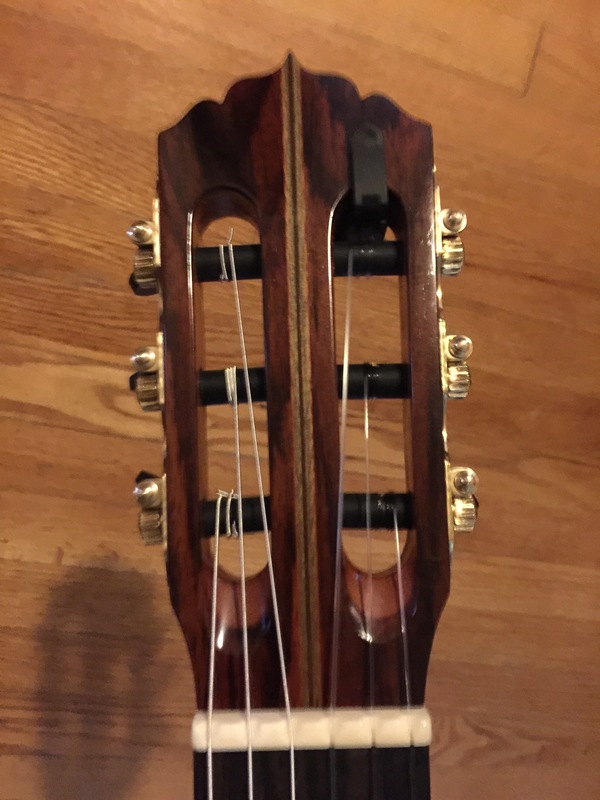 “I had high hopes for this tuner however this tuner has a very narrow grip and it mars the finish on fine French polished flamenco and classical guitars. 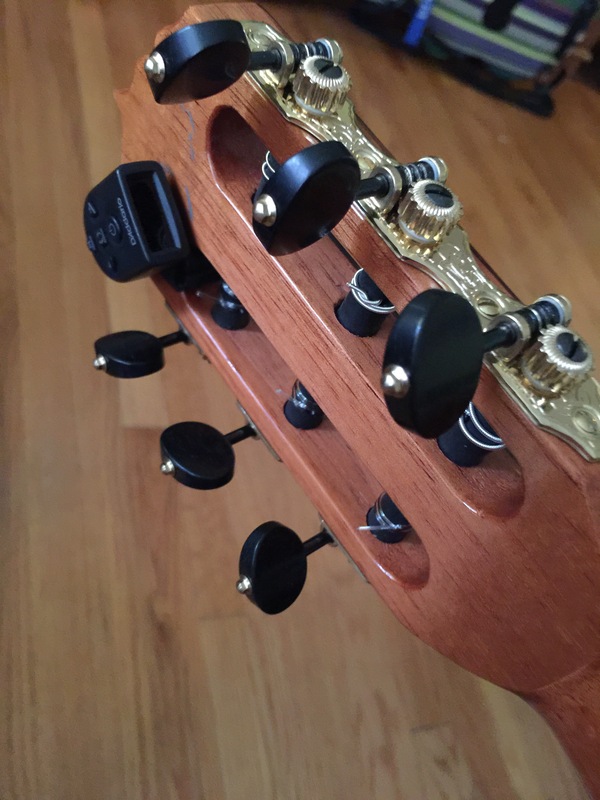 The tuner put dents in the finish even though it says hear on Sweetwaters web page, and on Pertersons web page that it’s easy on the finish. I had to take my guitar to a luthier to get the marks removed. I would recomed the Daddario NS Micro tuner as it’s much easier on the finish and produces good results. I am disappointed with my correspondence with Sweetwater as well.